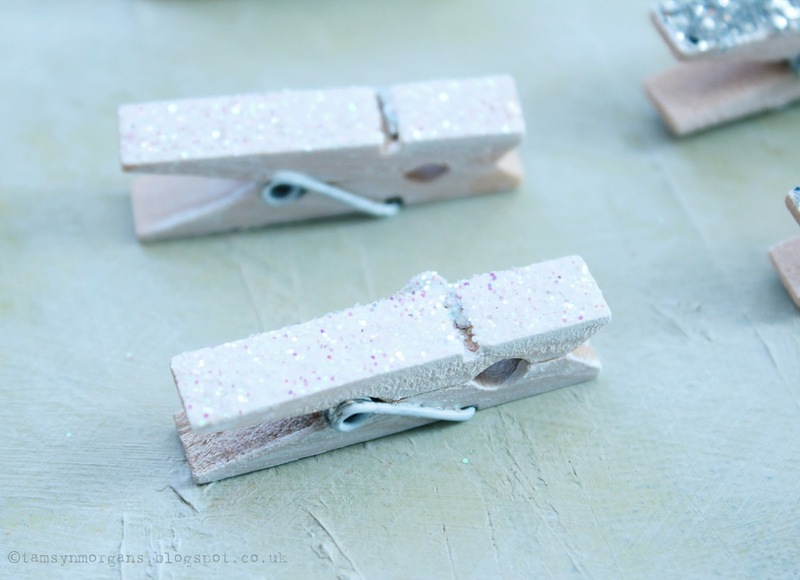 A couple of years ago I shared this post about home-made glittered pegs. 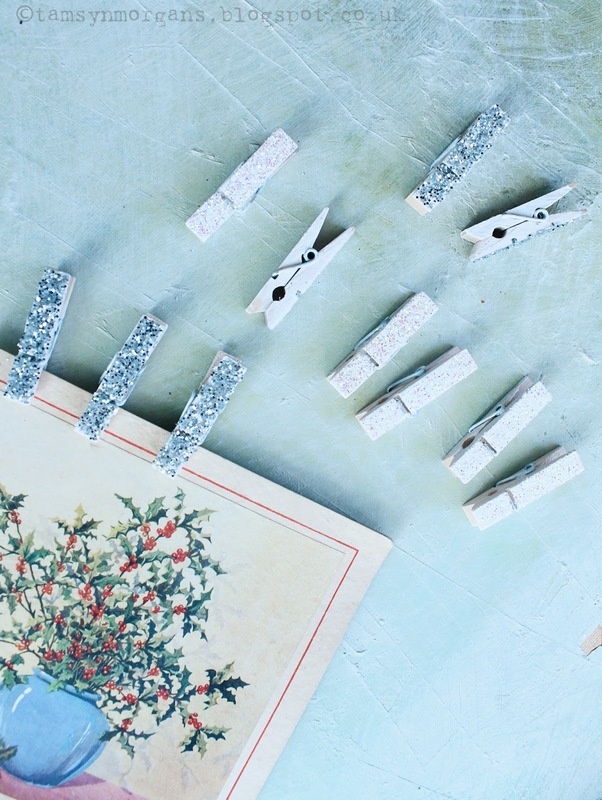 I went into Tiger recently (we are lucky enough to have one in Norwich -a fab shop full of little gifts and nik naks) and they had packs of mini wooden pegs for £1 each. So I decided to give them the glitter treatment! 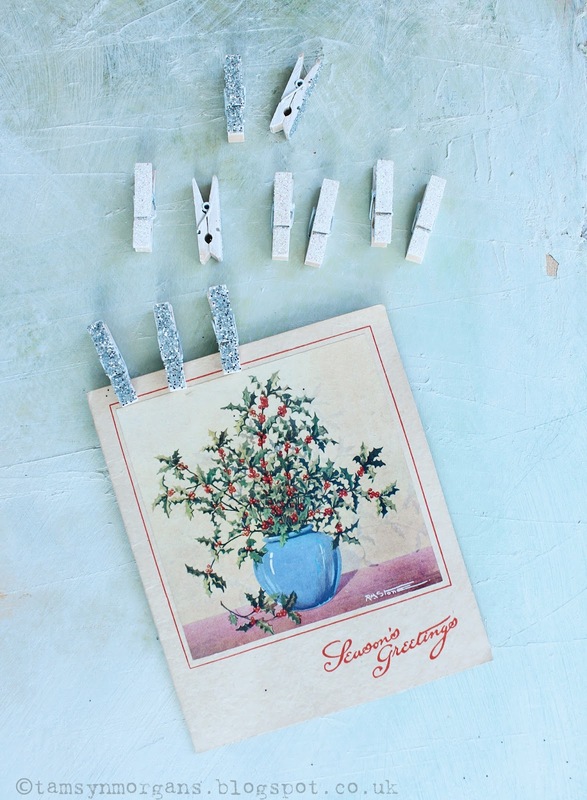 So easy – you just need to glue one side with PVA, tip glitter on, leave to dry and hey presto. 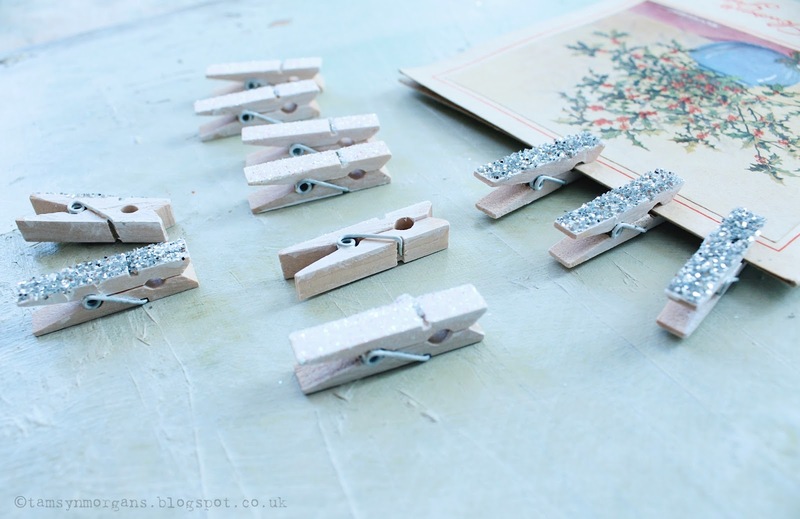 Pretty glittered pegs. I gave mine a wash of white paint first for an extra winter wonderland touch. I will use these to peg labels onto gifts, peg Christmas cards onto fairy lights, and make name place cards for the table on the big day. They would also look cute on gift bags with stamped luggage labels! I’m off to get a Christmas tree now so that the children can start decorating it tonight. I will be sharing our festive decorations with you over the next few days!